Save the Date!  Camp Moshava Shabbaton! More information about the Shabbaton after Sukkot! Summer Dates 2014 Are Here! Registration will be open in October ! Please watch your email for details and pricing! Wishing you and your family a Chag Sameach and looking forward to summer 2014! Check our website and Facebook in October for more information. We can’t wait for summer, see you then! Last year we produced a calendar for our Moshava campers which included pictures from the summer, important dates and special birthdays. As we prepare to celebrate 75 years of Moshava, Wild Rose and Rolling Prairie, we are putting together a special calendar which will include photos from the past seven decades along with current photos and more. 1. Sponsorship of a month/decade which will include your company’s logo – $360. To be included in the special 75th anniversary calendar, please contact the Camp Moshava office at 847-674-9733 x12 or respond to this email with your information. The deadline is October 1, 2013 to reserve your dates! Last year’s calendar was a wonderful success and we look forward to even more participation this year on our 75th anniversary! Camp Moshava wishes all of our families a Shana Tovah! Wishing you and your family a happy, healthy and fulfilling New Year. Registration for summer 2014 will be out after the Chagim, highlighting the dates, fees, discounts and incentives that will be available.